Tens of millions of Indians have voted on the first day of a general election that is being seen as a referendum on Prime Minister Narendra Modi. Indians in 20 states and union territories cast their ballots in 91 constituencies. The seven-phase vote to elect a new lower house of parliament will continue until 19 May. But, this picture of voting has reminded me two recent books on Indian politics, one is India’s former president Pranab Mukherjee written The Coalition Years and the other one is a British author James Crabtree written The Billionaire Raj. I will compare these two books on pretext of Bangladesh politics since it highlighted Pranab Mukherjee’s role in shaping the future of Bangladesh Prime Minister Sheikh Hasina as claimed and thereto how far-fetching, and ethical that is for readers. 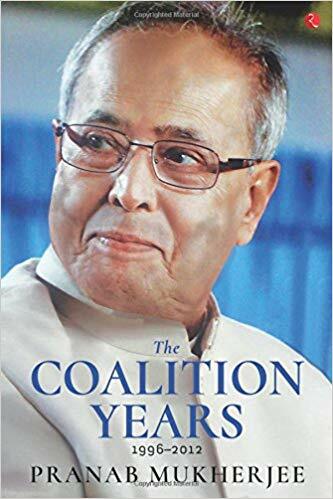 However, the book The Coalition Years begins its journey in 1996 and explores the highs and lows that characterized sixteen years of one of the most tumultuous periods in the India’s political history. It is an insightful account of the larger governance phenomenon in India—coalition politics—as seen through the eyes of one of the chief architects of the post-Congress era of Indian politics. Furthermore, beyond the challenges, complications and compulsions of coalition governments, Mukherjee’s autobiography is a sharp and candid account of his years at the helm. It offers the most authoritative account of contemporary Indian politics by one of the tallest leaders and statesmen of our generation. In contrast, the book The Billionaire Raj is a colorful and revealing portrait of the rise of India’s new billionaire class in a radically unequal society. Its democracy is the largest in the world, with more than one billion people and an economy expanding faster than China’s. But the rewards of this growth have been far from evenly shared, and the country’s top 1% now own nearly 60% of its wealth. In megacities like Mumbai, where half the populations live in slums, the extraordinary riches of India’s new dynasties echo the Vanderbilts and Rockefellers of America’s Gilded Age, funneling profits from huge conglomerates into lifestyles of conspicuous consumption. Similarly, The Billionaire Raj takes readers on a personal journey to meet these reclusive billionaires, fugitive tycoons, and shadowy political power brokers. From the sky terrace of the world’s most expensive home to impoverished villages and mass political rallies, journalist-author Crabtree dramatizes the battle between crony capitalists and economic reformers, revealing a tense struggle between equality and privilege playing out against a combustible backdrop of aspiration, class, and caste. His book is a vivid account of a divided society on the cusp of transformation—and a struggle that will shape not just India’s future, but the world’s. Hence, in comparison to these two books, one can surely wonder to find the fine line and reflect where India’s influence can eventually lead Bangladesh politics, since Pranab Mukherjee mentioned that, “all revolutionary leaders were recruited from middle class Bengali Hindu families residing in East Bengal and created a lasting impact on the people of the country”. But, his kindness to General Moeen’s treatment facilitation cannot be compensated “with reasons for the continued political violence in Bangladesh is the failure of military leaders to resolve basic problems like poverty and unemployment”.